It's 8:00 am, your alarm just went off, and it's 2 days before GAMEDAY! You're so pumped that you can barely contain your excitement, then you think....OMG what am I going to wear? You suddenly become panic stricken when you quickly do an inventory of your closet, only to find last years starting line has quickly become this years sitting bench. Lucky for you we live by the 4 F's: Fashion, Football, Food, and Family! So today we are going to cover some of our favorite gameday looks that will take you from tailgate to grandstand in style! We love the idea of creating looks that are transitional. Looks that can be worn to a football game, class, brunch, out on a date, or just to go on a little shopping spree at your favorite boutique! Wouldn't you all agree that there's nothing better than having a closet full of items that can be mixed and matched for endless outfit possibilities! 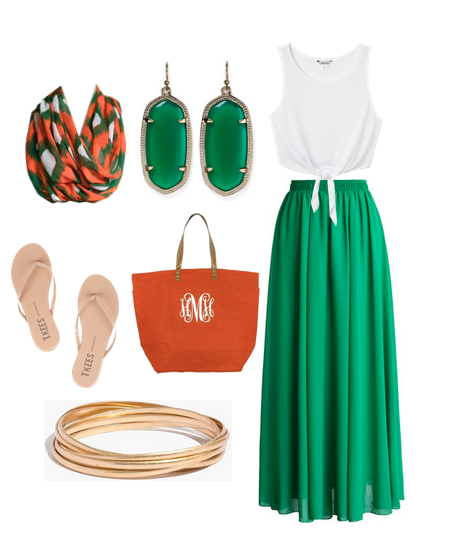 Whether you're a Miami Ibis or Michigan Spartan, we can all agree this emerald maxi skirt is a game changer. You'll definitely make your opponents green with envy this season! Patterns make everything perfect-- interchange these red accessories with your school colors to create a classic look that will always be a gameday winner! 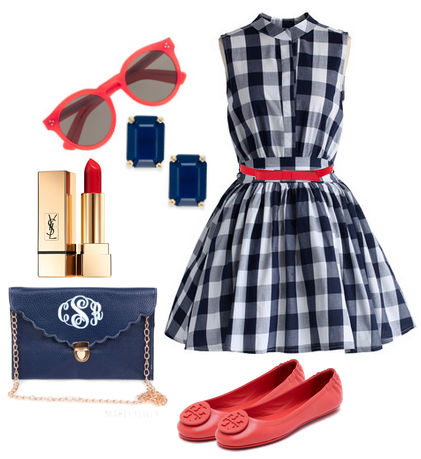 Will you be a Rebel Black Bear in this outfit Or an Auburn Tiger with a touch of orange?!? Wouldn't you say the shoes make the outfit? 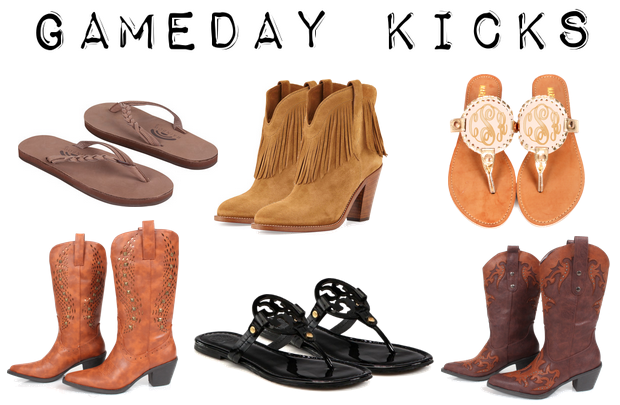 No matter if you choose to wear a dress or jeans any of these gameday kicks will add a point to your wardrobe scoreboard! 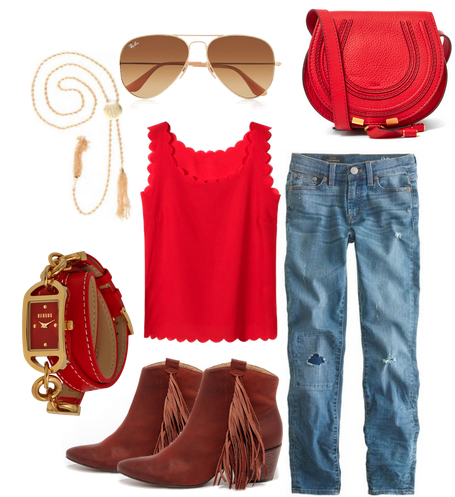 Whether your a Bulldog preparing for kick off or a Buckeye celebrating a touch down this red hot gameday outfit will be a definite touchdown in your closet! 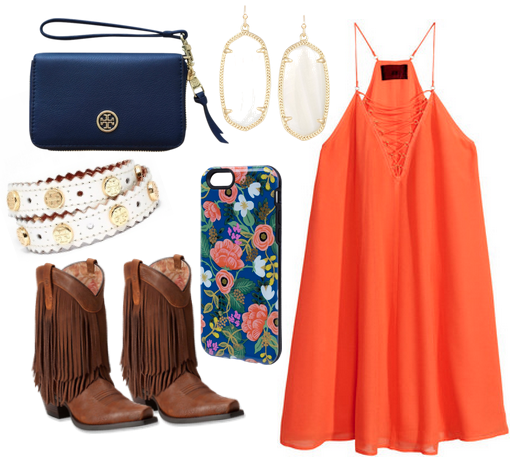 Orange is the new black with this adorable shift dress and fringe cowboy boots. 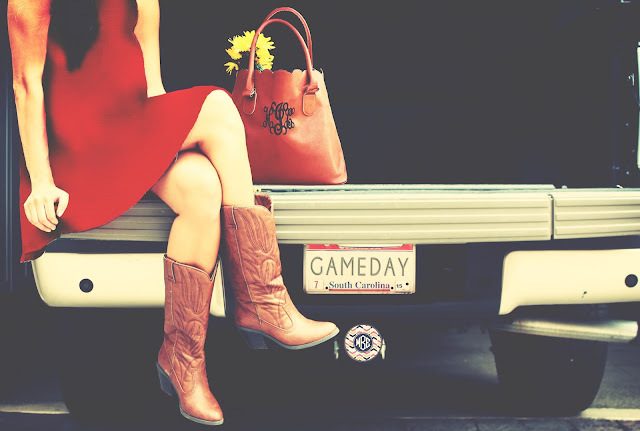 Just add your own touch to this look for a gameday ensemble that will leave your opponent defeated! 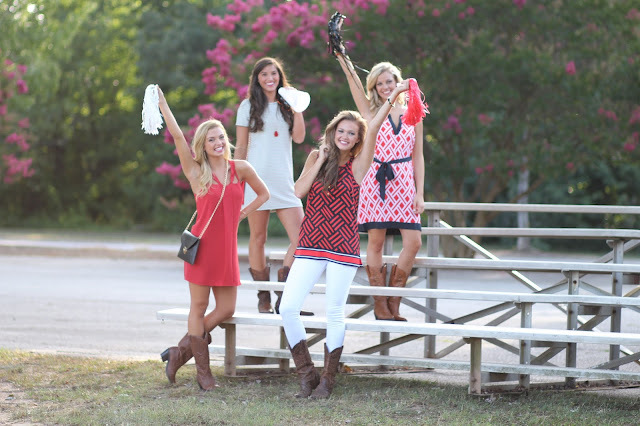 What colors will YOU be wearing this gameday season?